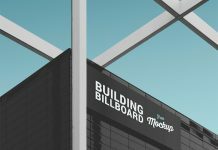 Another building branding billboard mockup we are sharing from Freepik.com. 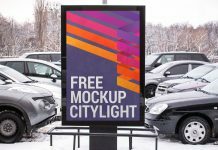 Mockup psd has some color adjustments to enhance the billboard design. 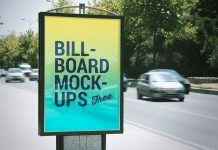 You can remove the folder if you do not like the outcome of your artwork. 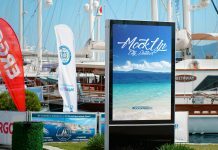 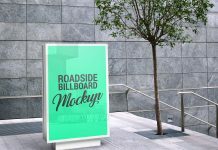 Place your outdoor advertising campaign, product display or use it for storefront branding. 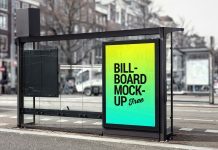 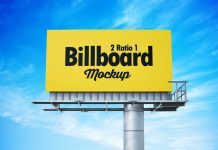 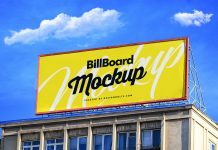 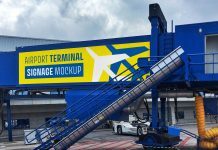 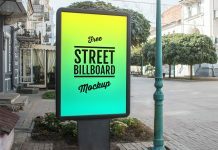 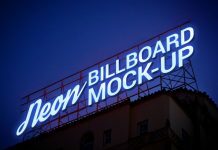 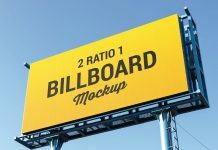 For more billboard mockups do check out our outdoor category section. 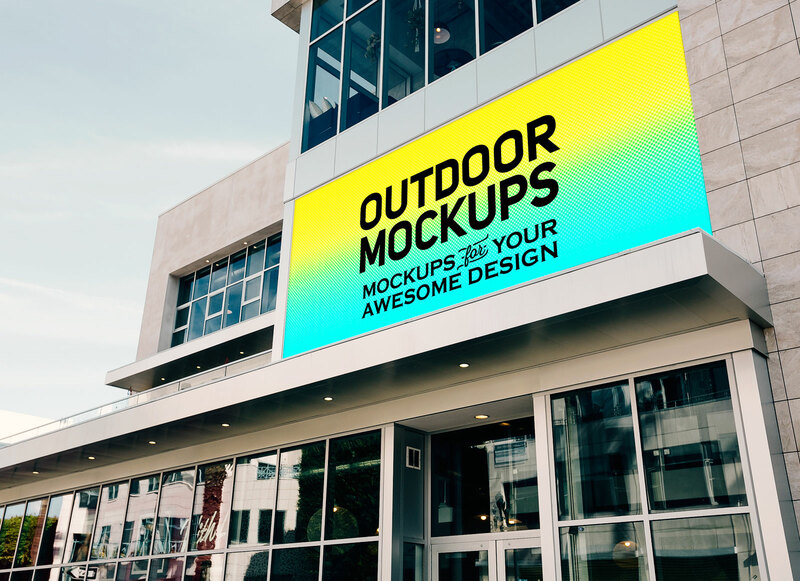 Subscribe to get free high quality mockup emails.